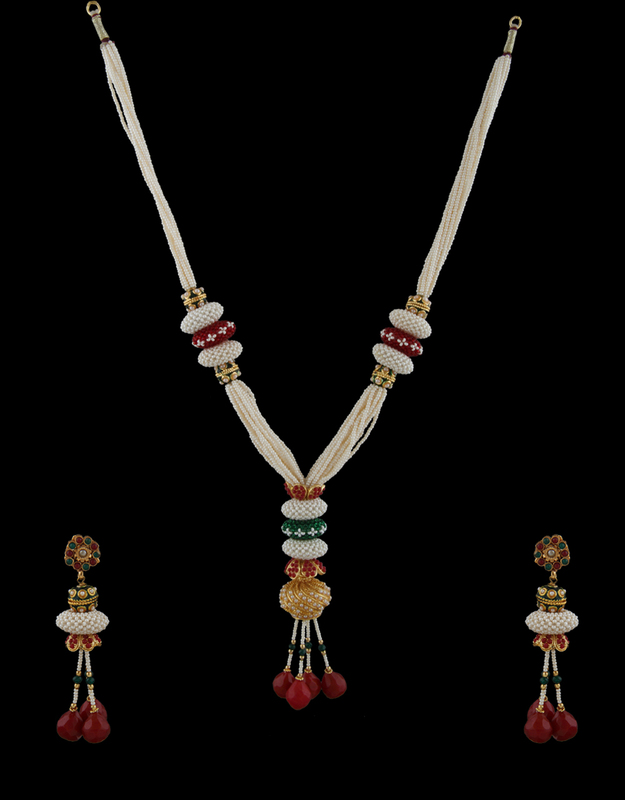 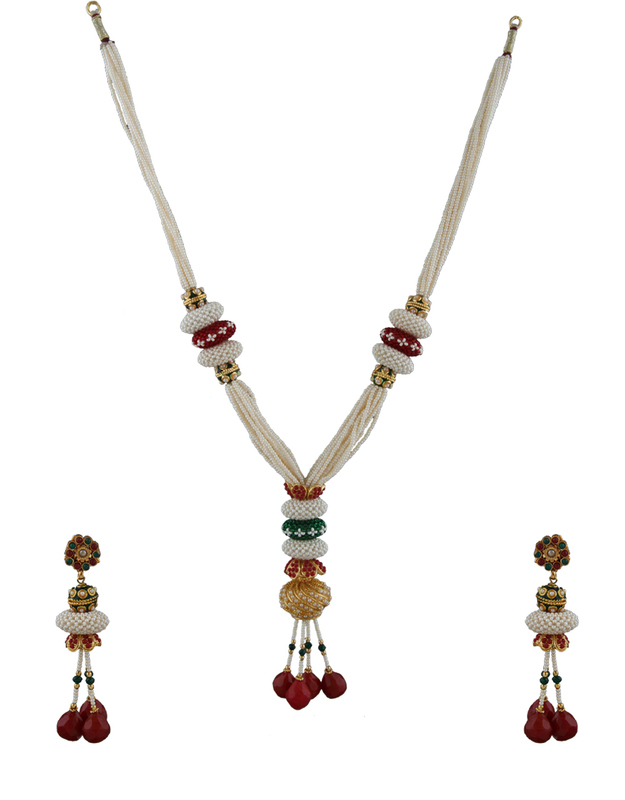 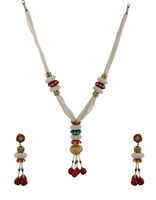 Anuradha Art Jewellery presents this pearl necklace set, which will catch your attention instantly. 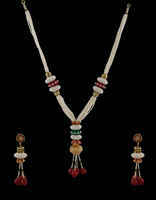 Made from 40% silver & golden polished copper, this necklace set will be your companion for years to come. 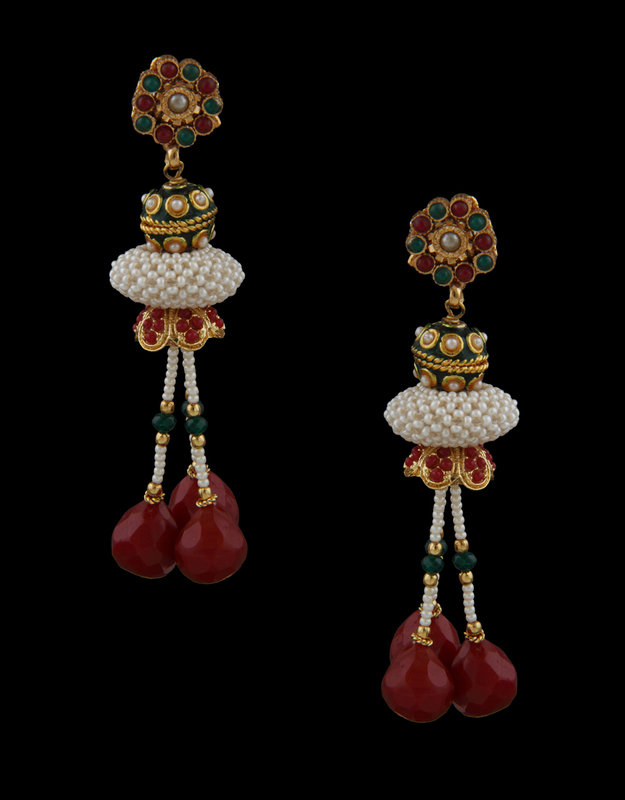 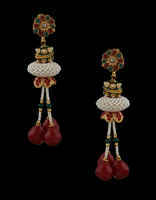 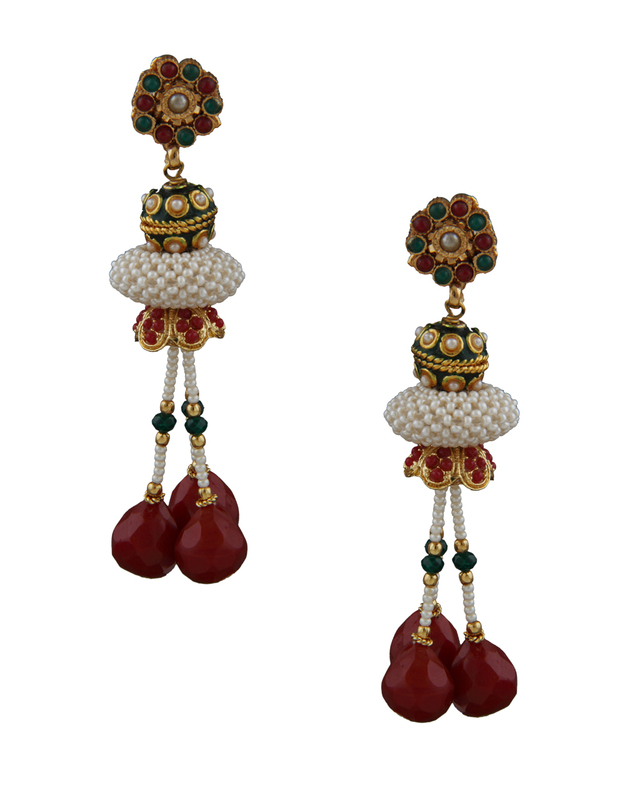 Beautifully styled with pearls & polki stones.